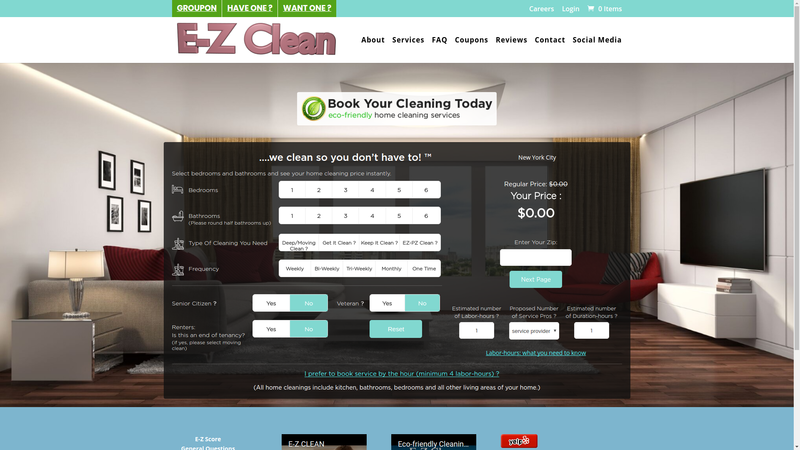 Select the number of bedrooms, and bathrooms you have (round up any half-baths) and select the desired cleaning type. If you are using a Groupon or Living Social be sure to match the number of bedrooms and cleaning type to the voucher you buy, kindly note the voucher must match also to your home configuration. Please note the number of bedrooms much match to how many you have as opposed to how many you want cleaned. If you wish less bedrooms to be cleaned then write this in your Instructions on the check-out page. Our pricing is tiered and uses the assumption that as the number of bedrooms in a home increases that the living areas are larger. 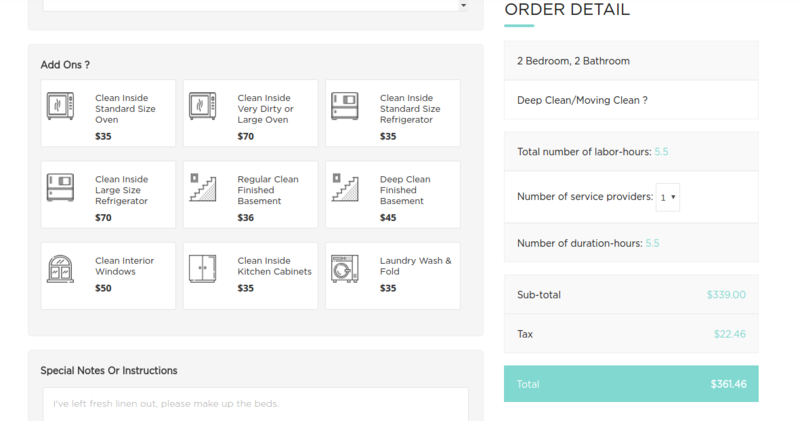 So if you have a 4-bedroom house but only want 1 bedroom cleaned it would be incorrect to select a 1-bedroom clean as the living areas of a 4-bedroom home are obviously larger than that of a 1-bedroom home. In such instances the cleaning professional can utilize the allocated time in the areas of the home that require attention. Please note that studies and dens count as extra bedrooms. Once you’ve made your selections a price will display. 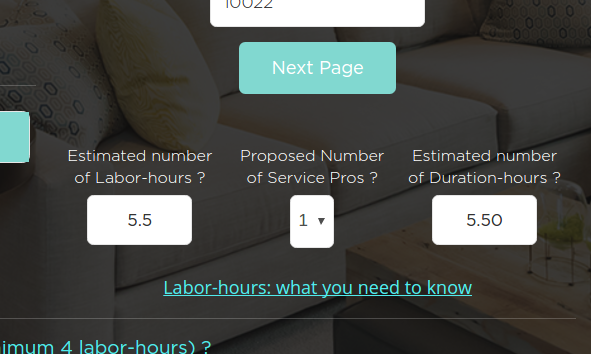 this is the number of estimated hours one service professional will need to clean your home based on your selected configuration and cleaning type. Copy & paste your Redemption Code and select Apply coupon. 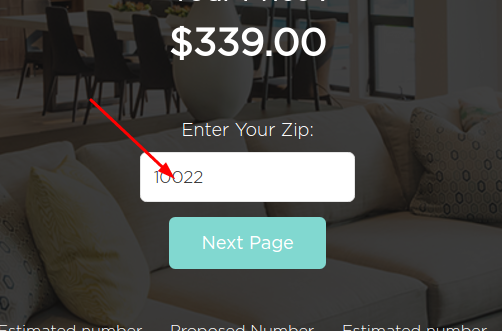 A message will display saying coupon code has been applied successfully and you will see the promotional value is deducted from the balance amount in the Order Detail on the right side of the page. Populate the entire form, be careful to answer everything that is on the page and to make the required selections to avoid error messages that prevent you from checking out. 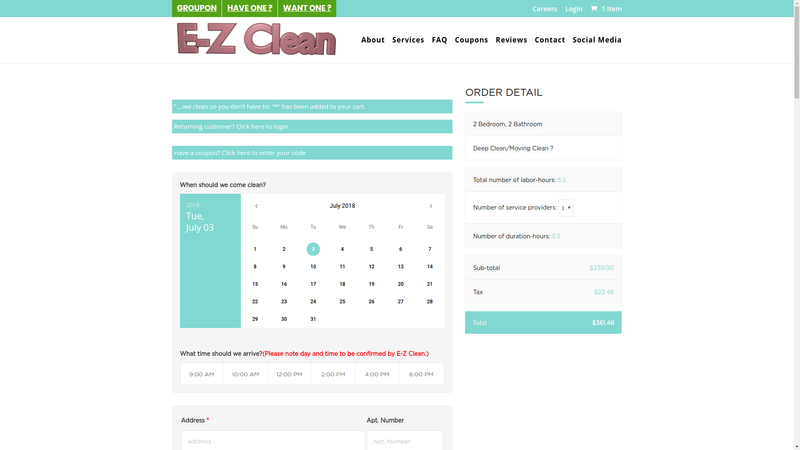 Selecting any Add-ons will increase both time and cost of the cleaning assignment. Once the form is completed, our Terms and Conditions have been accepted, you then select Proceed to PayPal where you pay the balance amount. PayPal acts as our Gateway processor, you don’t need to have a PayPal account, you have the option of paying using credit or debit cards as noted. Once you have completed the transaction you will receive an email confirmation of your order.